2008 Hyundai Tiburon, aka, the shark: it lives up to its name. 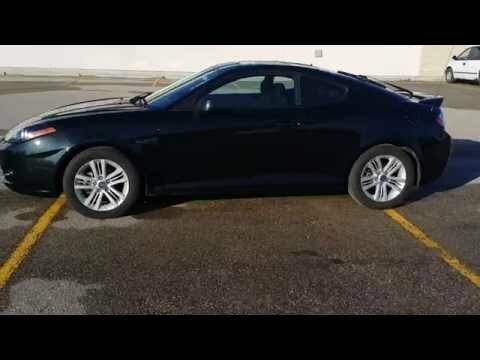 The Hyundai 2008 Tiburon is sleek, fast, and horsepower is fantastic. My vehicle was bought brand new in 2008, and I still get compliments on its beauty. The interior is not as great if you want a vehicle that can comfortably seat adults, especially the back seat. More room would be necessary. For a single person who has one adult for t seat passenger, this vehicle is fine. Also, the trunk is spacious for a coup. Be sure to get overdrive on your vehicle! My specific car did not come with o/d or cruise control (I bought it used). The cruise control missing is not a problem but no o/d is kind of a headache. I have had no major problems with my car and it has around 156 000 miles. I honestly wish they produced this model, I would buy a new one in a heartbeat!! Fun car to drive -- fast pickup and looks good! Great car, regular maintenance required. Did have an emission issue but otherwise no issues. It is a manual car and get good mileage. I especially enjoy the quick pick up. Not a large backseat so not ideal for families. It is low to the ground so some people might have trouble getting in and out.